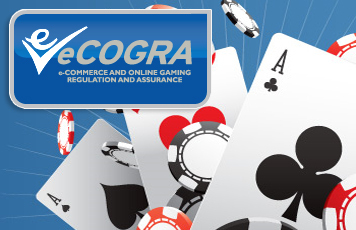 eCOGRA recently marked five years of quality and safety oversight at its 126 accredited poker and casino websites by awarding the tough Safe and Fair gambling seal to three new partners. Sportsbetting operations of the Vienna-based Internet gambling giant Interwetten.com and two bingo sites – the first sportsbook and bingo accreditations under the stringent eCOGRA testing and monitoring regime – received the right to bear the eCOGRA seal. The bingo sites are All Bingo Club.com which is a member of the successful Jackpot Factory online gambling group, and Platinum Play Bingo.com which is a subsidiary of the long established Fortune Lounge group. Interwetten is one of the best known of the top European sportsbetting, casino and poker Internet gambling sites and is a member of both the European Gaming and Betting Association and the European Sports Security Association. Founded in 1990 as provider of sport betting via telephone, the company today has 110 employees and reached a betting turnover of EUR 320 million in 2008. The internationally active company currently has more than 900 000 registered customers in 200 countries. In 2008, bets were placed on more than 90 000 different sports events in more than 70 countries. Altogether, 11 million sports bets were placed in the previous year. Accepting the eCOGRA seal, the CEO of Interwetten, Thomas Daubek said: “Interwetten`s management and staff has every reason to be proud of this achievement, which has involved a detailed and comprehensive examination of every aspect of our operational, software and responsible gambling systems by independent eCOGRA professional audit teams. David Brickman, spokesman and vice president of Player Affairs at the Jackpot Factory group said his company was pleased to have achieved one of the first eCOGRA bingo accreditations for its All Bingo Club website. “Our casino and poker operations have all qualified for the practical and valuable Safe and Fair seal accreditation over the years, and it’s good to know that our bingo operations also measure up to these high operational standards,” he said. A spokesman for the Fortune Lounge group commented that casino and poker room operations in the group were celebrating five years of Safe and Fair accreditation this week, and the addition of the Platinum Play Bingo seal to the Fortune Lounge list of achievements was added cause for pride. “This is a tough test, but it brings with it real advantages in operational efficiencies and improved business,” he said. eCOGRA CEO Andrew Beveridge congratulated the successful website owners on achieving accreditation, and urged Safe and Fair operators to maintain the highest standards, with player protection, business efficiency and responsible gambling always front-of-mind. “eCOGRA can look back on the last five years with some satisfaction,” he said. “It has seen our standards, inspection and monitoring systems and professional staff expand to embrace all the main Internet gambling platforms, from mobile, live dealer and bingo through sports to casino and poker,” he said. “Along the way, our Fair Gaming Advocate has successfully mediated thousands of player issues, although these represent a miniscule percentage of the substantial volumes of business our accredited sites handle every day. “There are now 126 accredited sites under the eCOGRA Safe and Fair umbrella, belonging to the most successful and well-established gambling companies on the Internet,” he continued.